List of Famous Soccer Awards That Every Footballer wants to Earn. 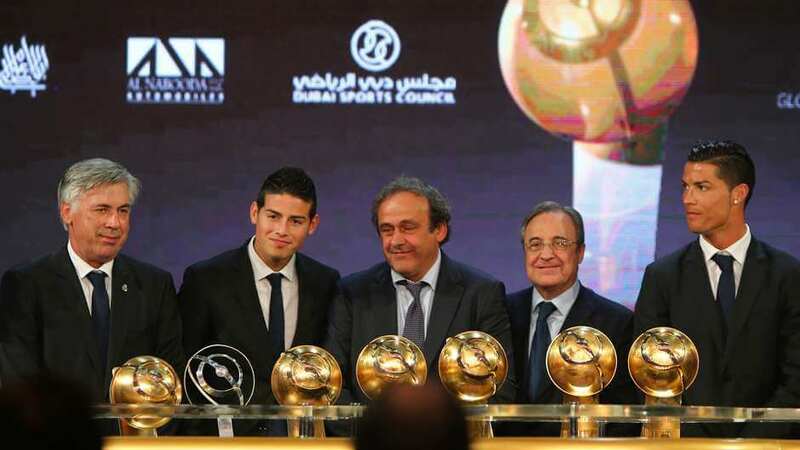 The Globe Soccer Awards, organized by the EFAA (European Association of Player’s Agents) and the ECA (European Club Association) are awarded for excellence in Football over a footballing season and was introduced in 2010. Since then, the organizing committee has been awarding excellence in various fields of football. In the 2017 Globe Soccer Awards organized in December 2017, awards were conferred to winners in 14 categories. Notable among these awards was Best Player of the Year, won by Cristiano Ronaldo; Best Club of the Year, won by Real Madrid; Best Coach of the Year, won by Zinedine Zidane; Player Career Award, won by Francesco Totti and Carles Puyol and Coach Career Award won by Marcello Lippi. The United States Soccer Federation gives the U.S. Soccer Athlete of the Year award to outstanding players of the season in various categories. It is the highest award for Soccer players in America. The awards started with the U.S. Soccer Male Athlete of the Year, in 1984. In 1985, the U.S. Soccer Female Athlete of the Year was added to the awards. In 1998, the award categories were extended to include Young Male and Young Female. In 2012, a category for Disabled Athletes was introduced. The winners are chosen in two parts. Online votes contribute to 50% of the total votes. Members of the national media and representatives of U.S. Soccer vote for the other 50%. The winner is selected after the combination of the vote. Christian Pulisic won the U.S. Soccer Male Athlete of the Year and Julie Ertz won the U.S. Soccer Female Athlete of the Year in 2017. The Best player of English Football is awarded the Professional Footballers’ Association Players Player of the Year. The awards have been given annually since 1973/74 for the Male Category and Young Player Category, and since 2012/13 season for the Female Category. A vote is carried out between members of the Professional Footballers’ Association (PFA), which has almost 4000 members. Mohammed Salah is the current winner in the Male Category, Leroy Sane in the Young Player Category and Fran Kirby in the Women’s Category. The Awards for the 2017 season was given on 22nd April 2018. 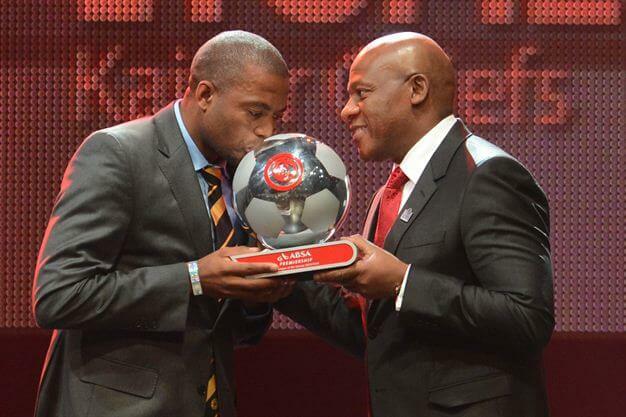 The Premier Soccer League Awards are given to the Best Soccer Players of South Africa. The Awards were introduced in 2008 and players who ply their trade in the Premier Soccer League and National First Division are eligible for the awards. The PSL Footballer of the Year 2018 is Percy Tau. Every season, the player who scores the most goals in the Top Divisions of all the European Leagues is awarded the European Golden Shoe Award. It was first introduced in the 1967/68 season, when it was awarded by L’Equipe Magazine. From the 1996/97 season, the awards are conferred by the European Sports Media. The winner is decided by a points system, which gives more weightage to players in a tougher league, so that they can win even if they score lesser goals. The league rankings are determined by the league’s rankings in the UEFA coefficients. Lionel Messi has won the Awards a record 5 times, including the win in the 2011/12 season where he won with a record 50 league goals, accumulating a record 100 points. 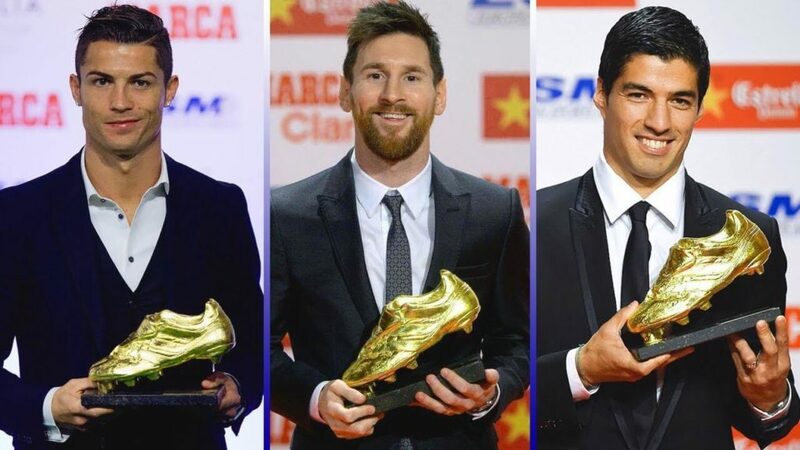 Messi is the current winner, having won the 2017/18 Golden Shoe. 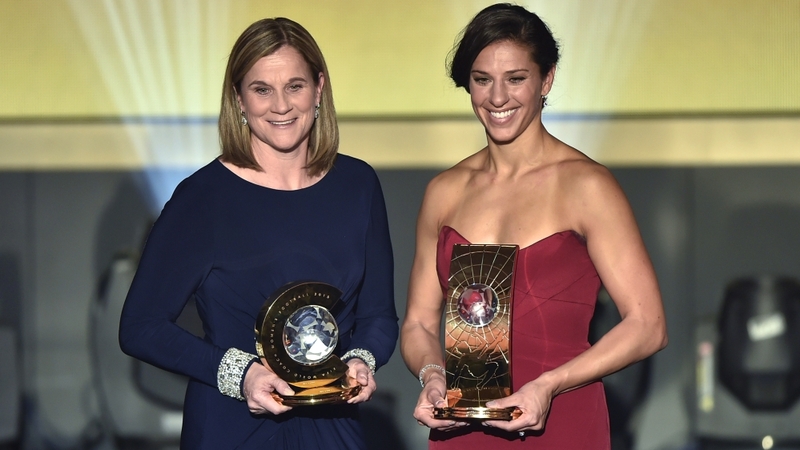 The UEFA Men’s Player of the Year was introduced in 2011, whereas the UEFA Women’s Player of the Year Award was introduced two years later in 2013. These Awards are given to the player who has performed the best in the previous season. All players playing within the administrative reach of UEFA or a UEFA member association are eligible for the awards. The Men’s Player is decided by votes by journalists only, who have to submit the top three players of their liking. The final three players are shortlisted and the winner is decided via live voting by journalists during the presentation ceremony. 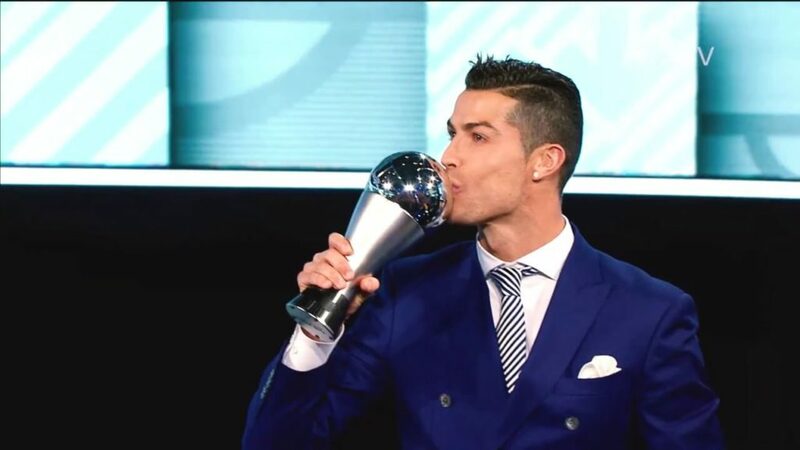 Cristiano Ronaldo has won the UEFA Men’s Player of the Year thrice, where as Lionel Messi has won it twice. Lieke Martens is the current UEFA Women’s Player of the Year, where as Cristiano Ronaldo is the UEFA Men’s Player of the Year. The FIFA World Cup Awards are conferred to the Best Players of the tournament. Currently, there are 6 categories of the awards, 5 of which are awarded after the completion of the Tournament and 1 is awarded after every match. The 4 post tournament Awards are the Golden Boot, which is given to the highest goal scorer of the tournament; the Golden Ball, for the best player of the Tournament; the Golden Glove, for the best goalkeeper of the tournament and the Best Young Player, which is awarded to the best under 21 player of the tournament. Along with this, a FIFA Fair Play Award is also awarded at the end of the tournament to the team that crossed the group stages with the best fair play record. In addition to these, the Man of the Match Award is given to the best player of every match. While there are various Soccer awards, the most popular and widely respected awards are the Best FIFA Football Awards. There are awards that are given annually for excellence in football. These awards are an attempt by the football governing body to renew and revive the FIFA World Player of the Year award, which was temporarily merged with Ballon d’Or, the France Footballing excellence awards, from a period of six years from 2010 to 2015. The FIFA World Player of the Year was an award given annually by the football governing body since 1991 to players of excellence in individual categories. The awards were decided on votes by Captains and Coaches of International teams and media representatives, who selected the player they thought had performed the best in the past year. 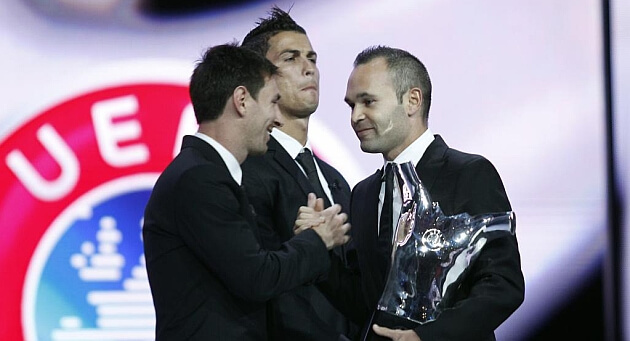 The Men’s best player award was merged with the Ballon d’Or temporarily. The Ballon d’Or is an award presented by the French Footballing authority since 1956 to the best male player in the previous year, based on voting by football journalists. Until 1995, the award was exclusively for players from Europe, but since 1995, players from any country playing in Europe are eligible for the awards. In 2007 however, the criteria was expanded to make all professional footballers around the world eligible for the award. Lionel Messi has been in the top three 11 times straight since 2007, winning the prestigious award 5 times, include a record 4 back to back awards from 2009 to 2012. Cristiano Ronaldo has won it 5 times as well. 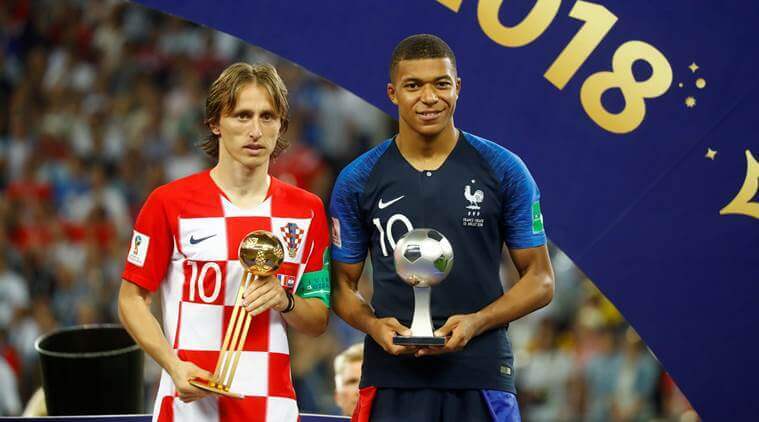 The Best FIFA Football Awards are currently presented in 9 categories and these are the Best FIFA Men’s Player, the Best FIFA Women’s Player, the Best FIFA Goalkeeper, the Best FIFA Men’s Coach, the Best FIFA Women’s Coach, FIFA Fair Play Award, FIFA Puskas Award, FIFA Fan Award and the FIFA FIFPro World11. The 2017 FIFPro World 11, which features the best players of the last season, was as such: Gianluigi Buffon; Dani Alves, Leonardo Bonucci, Sergio Ramos, Marcelo; ; Luka Modric, Toni Kroos, Andres Iniesta; Cristiano Ronaldo, Neymar and Lionel Messi.